New Zealand is a Beautiful and Unique Country in the South pacific. New Zealand is becoming the first choice for an increasing number of International students seeking quality education. All New Zealand universities are ranked amongst the world's best by QS World University Rankings. Universities rank in the world's top 100 in 31 subjects. Over 20,000 international students choose New Zealand universities from some 160 countries. The University of Auckland is New Zealand's leading research university, with many subjects ranked in the top 50 worldwide (QS 2014/15 rankings). Ranked in top 100 universities* 2014/15 QS World University Rankings. Research-led Home to 35% of the top A-rated academics in the country in the heart of New Zealand's biggest city, the University of Auckland offers more than 30 undergraduate programmes and over 130 programmes at postgraduate level. AUT is now New Zealand's third largest and fastest growing university. We reflect the changing world, and emerging environments and Industries.AUT University has four campuses; one central city, two on the North Shore across the Auckland Harbour Bridge and one in Manukau, South Auckland. Auckland is the commercial capital of New Zealand and is ranked third in the world's top cities to live and work in. School of Business is ranked in the top 4%. Situated in New Zealand's vibrant, entrepreneurial capital city, Victoria University of Wellington offers students the opportunity to benefit from University connections to industries, government and research organisations strategically located in the capital Ranked 1st in New Zealand for research quality. There are 100 undergraduate and over 220 postgraduate programmes with 21,000 students, including 3,000 international students Victoria's four campuses are spread between Wellington's stunning harbour and rolling green hills. Victoria comprises of four campuses across the city and seven faculties: Architecture and Design, Business, Education, Law, Humanities and Social Sciences, Science and Engineering..
Massey University is distinctive amongst New Zealand universities because of its ability to deliver research-led teaching and research training on three campuses in the cities of Auckland, Palmerston North, and Wellington. Located in the middle of the North Island Massey University is in the heartland of New Zealand. 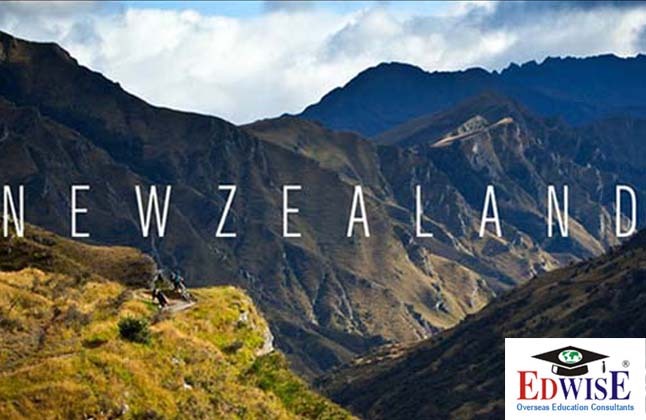 A landscape that sweeps from the sea to the Tararua Ranges, it offers an exciting range of adventure activities. Massey University is New Zealand's defining university, with three major campuses in Auckland, Palmerston North and Wellington. The University of Canterbury in Christchurch was founded by scholars from Oxford and Cambridge Universities in 1873. The University of Canterbury has an international reputation for academic excellence in both teaching and research. Christchurch is a beautiful city where you can cycle alongside the river, stay in good hotels and indulge in fine sophisticated dining, and a city where, just 15 minutes from the centre, you can mountain bike tracks or ride a wave at a surf beach. The intakes for these courses begin in Feb/May/July/Sept/Oct/Nov. The duration for the UG course is 3 to 4 years while the PG course lasts for a period of 1 to 2 years. For PHD, students are charged local fees. There are Dean's Awards and subject specific scholarships which be awarded after application.